Affordable makeup is something that everyone loves and I am no different. 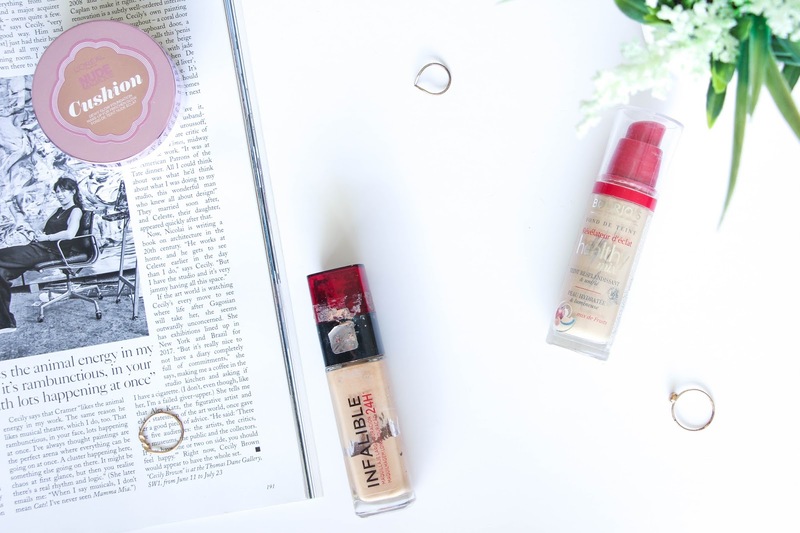 I do love to spend a few long minutes at Superdrug or Boots looking for great drugstore products and I have browsed and tried many different foundations but there are three that I absolutely adore and always go back to. I really don’t remember if I have already done a post like this one but, honestly, it doesn’t even matter. I wanted to share with you three drugstore foundations that you need to have in your makeup collection. Are you ready? I present you the one that became my favourite foundation ever this summer. The L’oreal Lumi Magique Cushion Foundation is light, glowy, healthy looking and has such a nice coverage. I absolutely love it. I normally apply it with a beauty blender for more of a full coverage and for when I want a more natural looking look I apply the foundation with a brush. This is a very hydrating and illuminating foundation so it is perfect if you have dry skin. Love it! This foundation is the one I can trust, my holy grail. If I have a date night or I want my makeup to look flawless and stay all day, this is the one I go for. It is full coverage but still looks very healthy on the skin. The only down side is that if you have dry skin/areas, the foundation can look a bit patchy but you can avoid it by moisturizing and priming your skin properly. I also try not to use a lot of powder to set it so it doesn’t look cakey. It is a great foundation that needs a tiny bit of skin prep to look amazing but it is totally worth it! If dewy skin is what you are looking for and the L’oreal Lumi Magique Cushion Foundation isn’t quite enough then this foundation is for you, definitely. This was my first foundation ever and it was such a good pick. It is great for everyday wear as it is so light on the skin and it has a light to medium coverage. It has such a beautiful finish – very glowing and skin looking. It has a must have for an everyday makeup routine. Totally worth every penny. Previous Post Sometimes insecurity hits you and.. that is fine.